In order to demonstrate VDJtools API features, a lightweight immune repertoire browser VDJviz was implemented by @bvdmitri. VDJviz is a Play framework application that uses D3js for interactive visualization of VDJtools output. 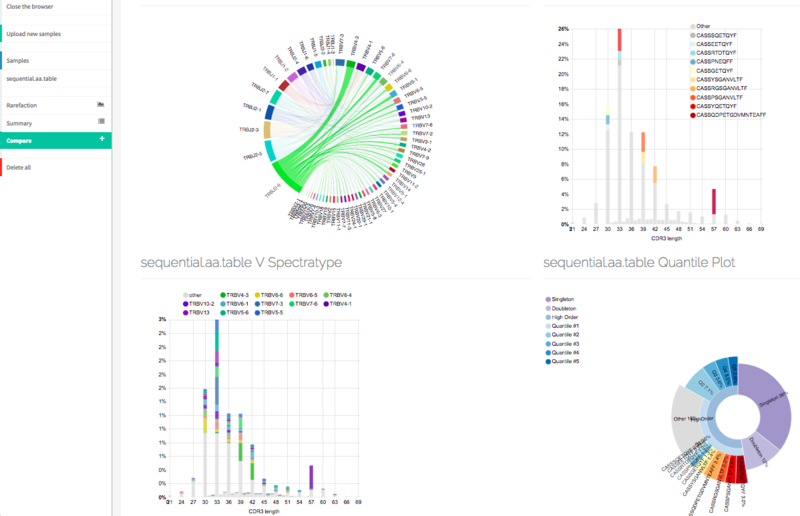 It allows visualizing and comparing various immune repertoire features such as spectratypes and rarefaction curves. 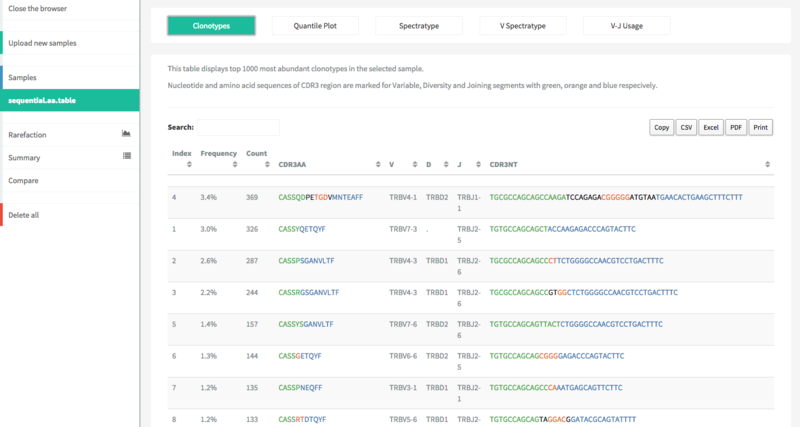 To try it out register at vdjviz.milaboratory.com and upload some RepSeq files in any supported format.